Big Lick Amplification - tube amps for electric guitar! Welcome to the Big Lick amp store! Here you can buy all types of these great sounding, hand made, boutique amps and accessories for electric guitars. These vacuum tube amplifiers are made to order, some inventory is available immediately otherwise lead time can be about 4 weeks. You may purchase here all on-line using MasterCard or Visa, or you may call in an order or email orders using the information at the bottom of the page. No refunds on amp builds. Many more related products and accessories are available for purchase here on our other pages. All of our Stores link to one convenient shopping cart on a secure server. You can continue shopping in our other stores linked here for vacuum tubes or guitars, whatever and then check out at one time! At Big Lick Amps, we build these great reproduction amps, inspired by the original Fender Tweed and Marshall JTM designs, using top quality parts and materials. These are true to the original designs with minor modifications where appropriate and yet feature even better quality components, so the sound is vintage accurate and yet represent the best possible quality for even better tone and reliability. It's like a trip back into time to revisit the classic guitar sounds of the '50s and '60s. The Fender style amps are '50s Tweed models and the Marshall style amps are '60s Plexi models. A few variations are offered. We do limit the number of units produced and versions available to make our lives more manageable. Our amps are hand made in Virginia's Roanoke Valley. The Roanoke Valley area near the river was named Big Lick for the salt licks which attracted wildlife. Big Lick now serves as a suiting name for our tube guitar amplifiers. Get your Licks in! Of course the Fender and Marshall names are registered trademarks of their respective companies. The Big Lick Bluestone amp is based on the original Fender 5E5-A design. These amps are sweet and clean at lower levels and then break-up fairly early, great for blues and classic rock tones. It is a 1x15 combo amp that features two interactive channels. This is a great all around amp that suits practice, stage, and studio. It has a usable amount of power and volume but gets crunchy fast enough not to be ridiculously loud indoors. Very flexible controls set includes Volume, Bright Volume, Treble, Bass, and Presence. 25w pure tube amp, point to point wired with original "fiber" circuit card construction, stainless chassis, pine cabinet. Features Mercury Magnetics transformers, a 5U4 tube rectifier and one each 12AY7, 12AT7, 12AX7 and two 6L6GC tubes. One 15" Jensen C15N speaker. Loudest, full & bright tone. 5 year limited warranty. The Big Lick Bluestone amp is based on the original Fender 5E5-A design. As above but with one 15" Jensen Neo-15 speaker. Light weight, super clear tone. 5 year limited warranty. The Big Lick Bluestone amp is based on the original Fender 5E5-A design. As above but with one 15" Jensen P15N AlNiCo speaker. Warmest tone. 5 year limited warranty. The Big Lick Artist amp is based on the original Fender 5E5-A design. These amps are sweet and clean at lower levels and then break-up fairly early, great for blues and classic, and alternative rock tones. It is a 2x10 combo amp that features two interactive channels. This is the same as the Pro amp but uses 10" drivers for a brighter and more mid-centric tone that will cut through in larger or louder bands. Very flexible controls set includes Volume, Bright Volume, Treble, Bass, and Presence. 25w pure tube amp, point to point wired with original "fiber" circuit card construction, stainless chassis, pine cabinet. Features Mercury Magnetics transformers, a 5U4 tube rectifier and one each 12AY7, 12AT7, 12AX7 and two 6L6GC tubes. Two 10" Jensen C10R speakers. Loudest, full & bright tone. 5 year limited warranty. The Big Lick Artist amp is based on the original Fender 5E5-A design. As above but with two 10" Jensen P10R speakers. Warm, sweet & bright tone. 5 year limited warranty. The Big Lick Artist amp is based on the original Fender 5E5-A design. As above but with two 10" Jensen Neo-10 speakers. Super clean and sweet tone. 5 year limited warranty. The Big Lick Royal amp is based on the original Fender 5E3 design. These amps are sweet and clean at low levels and then break-up early, great for country, classic, and alternative rock tones. It is a 1x12 combo amp that features two interactive channels. 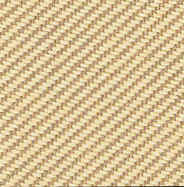 This is the same classic tone as found in the vintage '53 Tweed amp. It uses a 12" driver for a clear and dynamic output. A great all around practice, studio, and small club performance amp. It needs to be mic'd for larger spaces or louder bands. Simple controls set includes Volume, Bright Volume, and Tone. 15w pure tube amp, point to point wired with original "fiber" circuit card construction, stainless chassis, pine cabinet. Features Mercury Magnetics transformers, a 5Y3 tube rectifier and one each 12AY7, 12AX7 and two 6V6 tubes. 12" Jensen C12R speaker. Rich, dynamic, and sweet tone. 5 year limited warranty. The Big Lick Royal amp is based on the original Fender 5E3 design. As above but with one 12" Jensen P12R AlNiCo speaker. Warm, and sweet with crisp mids. 5 year limited warranty. The Big Lick Royal amp is based on the original Fender 5E3 design. As above but with one 12" Jensen Neo-12 speaker. Responsive, clean and organic tone. 5 year limited warranty. The Big Lick Graduate amp is based on the original Fender 5F2-A design. These amps are sweet and clean at quite low levels and then break-up really early, great for punk, classic, and alternative rock tones. It is a 1x10 combo amp that features two interactive channels. This is the same classic tone as found in the vintage '53 Tweed Champ but on steroids. It uses a 10" driver for a more dynamic output. A great all around practice, studio, and small club performance amp. It needs to be mic'd for larger spaces or louder bands. Simple controls set includes Volume and Tone. 5w pure tube amp, point to point wired with original "fiber" circuit card construction, stainless chassis, pine cabinet. Features Mercury Magnetics transformers, a 5Y3 tube rectifier and one each 12AX7 and 6V6 tubes. 10" Jensen C10R speaker. Rich, dynamic, and sweet tone. 5 year limited warranty. The Big Lick Graduate amp is based on the original Fender 5F2-A design. As above but with one 10" Jensen P10R AlNiCo speaker. Warm, and sweet with crisp mids. 5 year limited warranty. The Big Lick Graduate amp is based on the original Fender 5F2-A design. As above but with one 10" Jensen Neo-10 speaker. Responsive, clean and organic tone. 5 year limited warranty. The Big Lick Graduate amp is based on the original Fender 5F2-A design. These amps are sweet and clean at quite low levels and then break-up really early, great for punk, classic, and alternative rock tones. It is a 1x8 combo amp that features two interactive channels. This is the same classic tone as found in the vintage '53 Tweed Champ but on steroids. It uses an 8" driver for a more dynamic output. A great all around practice, studio, and small club performance amp. It needs to be mic'd for larger spaces or louder bands. Simple controls set includes Volume and Tone. 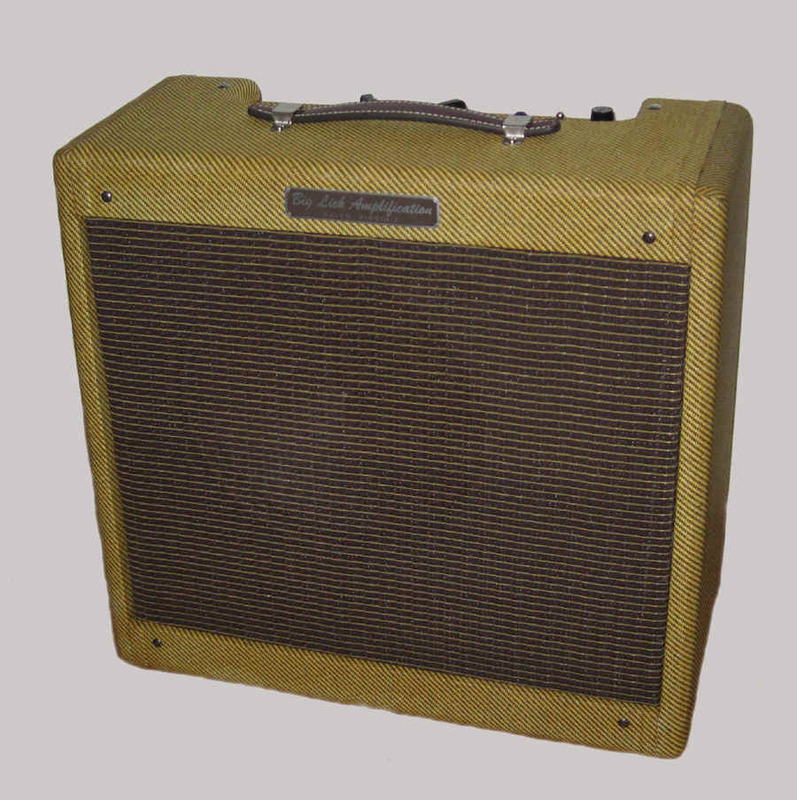 5w pure tube amp, point to point wired with original "fiber" circuit card construction, stainless chassis, pine cabinet. Features Mercury Magnetics transformers, a 5Y3 tube rectifier and one each 12AX7 and 6V6 tubes. 8" Celestion Super 8 speaker. Goes from a dynamic and sweet tone to all out raunchy. 5 year limited warranty. The Big Lick 45 head is based on the original Marshall JTM 45 design. These amps are sweet and clean up to rather high levels and then break-up into a classic crunch and overdrive, great for punk, classic, and alternative rock tones. It is a 45 watt head that features two interactive channels. This is the same classic tone as found in the vintage '62 JTM heads. The very flexible controls set includes Volume, Bright Volume, Treble, Middle, Bass, and Presence. 45w pure tube amp, point to point wired with original "turret board" construction, aluminum chassis, black tolex head cabinet. Features Mercury Magnetics transformers, a GZ34 tube rectifier, three 12AX7, and two KT66 tubes. Choose from the original Radiospares 8 ohm output transformer design or 4, 8, 16 ohm selectable output transformer design. 5 year limited warranty. The Big Lick 50 head is based on the original Marshall 50w "Plexi" design. These amps are sweet and harmonically rich up to rather high levels and then break-up into a classic crunch and overdrive, great for punk, classic, and alternative rock tones. It is a 50 watt head that features two interactive channels. This is the same classic tone as found in the vintage JMP50 heads from '66 to '69. The very flexible controls set includes Volume, Bright Volume, Treble, Middle, Bass, and Presence. 50w pure tube amp, point to point wired with original "turret board" construction, aluminum chassis, black tolex head cabinet. Features Mercury Magnetics transformers, a solid state rectifier, three 12AX7, and two EL34 tubes. Choose from the original Radiospares 8 ohm output transformer design or 4, 8, 16 ohm selectable output transformer design. 5 year limited warranty. The Big Lick 50 head is based on the original Marshall 50w "Plexi" design. These amps are sweet and harmonically rich up to rather high levels and then break-up into a classic crunch and overdrive, great for punk, classic, and alternative rock tones. It is a 50 watt head that features two interactive channels. 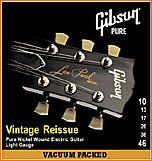 This is the same classic tone as found in the vintage '62 JTM50 to the '67 JMP50 heads still using a tube rectifier. The very flexible controls set includes Volume, Bright Volume, Treble, Middle, Bass, and Presence. 50w pure tube amp, point to point wired with original "turret board" construction, aluminum chassis, black tolex head cabinet. Features Mercury Magnetics transformers, a GZ34 tube rectifier, three 12AX7, and two EL34 tubes. Choose from the original Radiospares 8 ohm output transformer design or 4, 8, 16 ohm selectable output transformer design. 5 year limited warranty. It is also possible to have these Marshall style amplifiers built into 1x12 combo versions. These are $150 less than the 2x12 versions and include a Jensen Neo-100 speaker in place of the Celestion ceramic types. 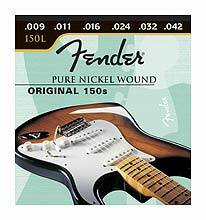 This greatly reduces the weight of the amp and makes it a bit more manageable in terms of its size. It also results in a cleaner sounding amp with more midrange emphasis.